When two or more parties intentionally enter into a legally-binding, voluntary agreement, that’s a contract. There are many variations of business contracts, and each requires several criteria to be legally binding and enforceable. The parties: "Parties" to the business agreement are those who are involved. These parties must be listed by name, which may mean the legal name of the business they operate under, and whether they are a customer or a vendor. Signing authority: If the signatories do not have the legal authority to sign the contract on behalf of named parties, then the contract may not be valid or enforceable. Considerations: This term refers to what each party means to gain from signing the contract, and it can be payment, services or goods. Receipt: Each party must receive a signed copy of the contract for their records. Main terms of the agreement: These contractual terms need to be very specific to protect both parties’ interests. What services are to be performed, at what price, by when, under what circumstances and with what intended results? Additional terms: Beyond parties, considerations and deadlines, some terms affect the execution and success of delivering on the agreement. They include particulars about whether the contract can be terminated, by whom and under what circumstances. Additional terms may include whether the agreement can be transferred to or assumed by another party, and how disputes will be negotiated, such as through arbitration or mediation. Many other factors can be spelled out, too, such as under which state’s laws the contract is to be enforced, what legal mailing addresses and contacts are to be used, compensation for breaching and whatever other terms either party may require. Date: Finally, the contract must have a date on which it was signed. It’s entirely legal for parties to agree to business in conversation and shake on it. A handshake and a verbal agreement are both contracts, and each party can and should expect the other to honor the terms they agreed upon. But there’s a big gulf between what’s legal and what’s enforceable. If you’ve ever watched the “People’s Court,” you know it’s not as simple as making an agreement and seeing it through. If one party breaches the agreement and fails to deliver or honor the terms of the oral contract, it’s down to “he said, she said.” Having that contract enforced by, say, small claims court or other legal entities will be entirely about who has the more credible version of the story and who’s wrangled a witness or other supporting evidence to back it all up, and that's only if the legal body even believes there was a valid contract worth mediating. Just because a contract is legal doesn’t mean it’s enforceable. This is where the adage “you better get it in writing” comes from – because good intentions don’t always mean good follow-through. Protect yourself, take the time to put important agreements down on paper. Not all contracts can be oral; some contracts and legal agreements must be on paper, and these include any real estate deals, marriage or divorce agreements, wills and last testaments as well as some creditor/debtor agreements and any contracts not expected to be completed or performed within one calendar year. 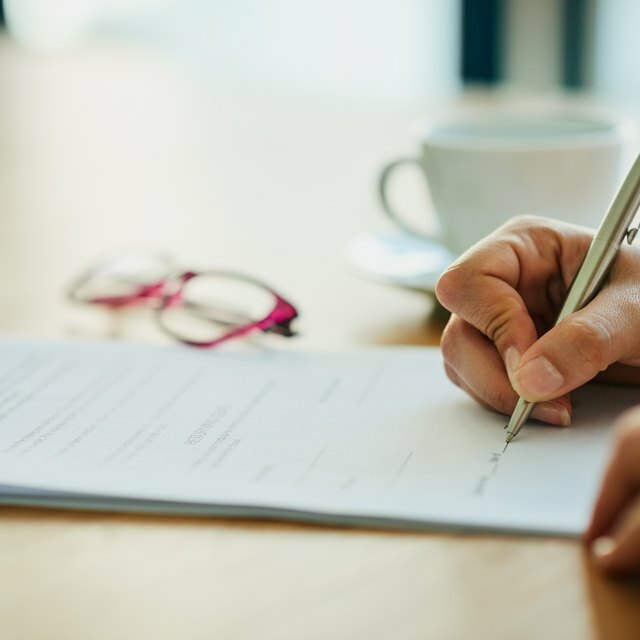 There are dozens of common business contracts that suit all manner of needs, and you may be surprised at what contracts might exist to protect your interests. The four most common business contract categories include sales, employment, general business and property contracts. Sales contracts: These are among the most common contracts used in business, and even in people’s everyday lives, because every sale or purchase is an implicit agreement. Sales contracts can detail how goods, services and properties are sold, purchased, returned and transferred. Some examples of sales contracts might be a bill of sale, a warranty agreement, purchase orders and security agreements. Employment contracts: These include far more contract types than one might suspect. Their purpose is to set the terms of someone’s employment. It can cover services for hire, like consultants, dog walkers, distributors, sales reps and independent contractors. When someone is fired, they are given a termination agreement. Non-disclosure agreements are an employment contract intended to protect companies from being liable for indiscreet employees. Non-compete contracts protect a company for a select duration post-employment to avoid valuable employees from being poached by a competitor. These are just a few examples of employment contracts. General business agreements: These contracts cover all manner of the business – from the formation of the company and partnerships involved through to joint ventures and sale or purchase of stocks. In many businesses, indemnity agreements and waiver of rights are important, as are non-disclosure agreements issued to contractors and other third parties. General business contracts can also include settlement agreements when resolving disputes. Franchise contracts and even the agreement to sell the business would both be considered common agreements. Property contracts: Leases may not be a frequent contract businesses sign, but they’re among the most critical because a bad lease can hamstring a business. Leases can cover everything from parking arrangements to maintenance expectations and security deposits, and even whether pets are allowed to visit let alone remain on the premises. When leasing for a business, it’s important to know what the contract requires of the lessee for issues like having tenant’s insurance, condition upkeep and property alterations. It’s important to understand that the basis of contract law is that no one can be forced to sign a contract. If you sign a contract, it is presumed you do so under your free will. If a party signs the contract under any kind of duress, undue influence or under the pretense of fraud, these can be grounds for voiding the agreement, but hard proof of this may be required. Just because a contract is signed by both parties doesn’t necessarily mean it will be considered a legal contract in a court of law. To be an enforceable legal contract, it needs to have an offer of terms and acceptance thereof, competent parties, consideration, mutual assent (colloquially called “a meeting of the minds”) and legal purpose, meaning it must be a legal act under all levels of government. A party changing their mind or having a change of circumstance isn’t a valid reason for terminating a contract – unless these have been written into the contract as an acceptable basis for termination. But the whole point of having a termination clause is to avoid such consequences as someone changing their mind and walking away. If business sours and the contract is disputed or breached in any way, litigation may be required. If so, the court, mediator or arbitrator may decide what area of law should be used to decide the matter. Some contracts will specify which law is to govern the dispute. This is an excellent term to include in a contract since different laws can drastically change the outcome. Ultimately, contracts are meant to be advantageous for both parties. History is full of people who have signed contracts casually because they assume everything will be fine and work out without a hitch. Some think that the contract is "just a formality." But it's not, because that’s what a contract is for – protecting you when everything is not fine and when things get held up by hitches. Understanding your contract and all its contents are in your interest, so advocate for what you need and be sure it's in writing. If you’re not entirely comfortable with all aspects of a contract, speak to a lawyer before you sign it.